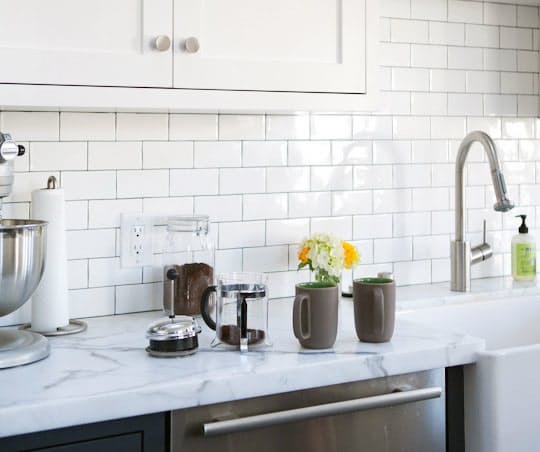 If you are considering rehabbing or updating your kitchen, one of the best choices you can make is to add marble countertops.That’s because marble countertops not only improve the look and feel of your kitchen — and, by extension, your entire home — but they also increase the resale value when it’s time for you to sell you existing house or condo and move to a new place. There are many other benefits to adding marble countertops to your kitchen. Here are four of them. Marble has a look, tone, and texture that never goes out of style. Marble countertops that were installed decades ago are just as functional, just as beautiful, and just as valuable today as they were the day they were put in. It’s simple: Marble never goes out of style. So when you include marble countertops in your kitchen design, you can ensure your home will always be up to date. A benefit of marble that the cooks in your family will appreciate is its heat resistance. Unlike other countertop materials, you can put hot pans and pots on marble surfaces and not have to worry as much about staining or damaging your countertops. For the home baker, marble has the advantage of being naturally cool. It won’t conduct heat as efficiently as other materials, allowing baked products to be cooled directly on its surface. Marble is a softer stone than many other countertop materials. So its overall workability is better — especially if you are thinking about using custom edges or other unique fabrication.